Installing an irrigation system in your yard can help make maintenance easier. After all, you will not have to hand set sprinklers all day and try to remember where you have already watered. A sprinkler system, however, is not a project for the average do-it-yourselfer. This is because there are multiple precise calculations that need to be made, and a great deal of special handling necessary to properly set up the sprinklers. A drip irrigation system, on the other hand, can be set up fairly easily by most do-it-yourselfers and conserves water to boot. A drip irrigation system consists of a series of tubes. These tubes have holes place in them at specific intervals, corresponding with the placement of your plants. Most of the time, these systems are placed under the soil, providing deep and efficient watering for the plants. These systems promote water conservation, as there is very little evaporation, the space between plants is not needlessly watered, and there is no wind to carry the water away before it reaches the roots. Plus, watering deeply means that you do not need to water your plants as often. While drip irrigation may not be especially helpful for lawns, it can be utilized to water some portions of the lawn. Root health is promoted by drip irrigation systems, and this means hardier plants that are more resistant to pests, drought, and disease. Because they require the opening of holes along their length, drip irrigation systems are most often installed around flowers and shrubs, and even trees. This targeted approach to watering is more effective and more efficient that more traditional sprinkler irrigation. 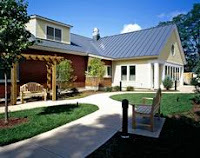 Additionally, it helps ensure that each of the landscape's individual elements are properly watered and cared for. A drip irrigation system is unobtrusive and can be easily concealed so that the unsightly tubes do not mar the look of your property. 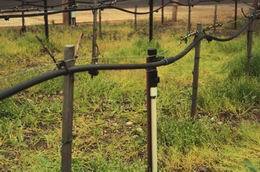 Installing drip irrigation is relatively simple. It is possible to create the system yourself, using hoses and making use of water available to your home, but it is much easier to use kits. There are kits available at most home improvement stores and warehouses that can help you better install a drip system. Most of the time, this installation only takes one day (or even less!). The kits come with easy to read instructions that clearly explain all of the necessary steps. There are some tools needed for the installation of your drip irrigation system, but they are generally tools that are commonly found in most households. Not only can you install a drip irrigation system, but you can also make plant maintenance even easier by adding a timer to your system. We know that timers can be used with more traditional sprinkler systems, but many people are surprised that a timer can be used with a drip system. The timers are also available at home improvement stores and can be easily installed to go with your irrigation systems. Timers help you feel peace of mind knowing that you will not need to try to remember to water your plants. Additionally, they ensure that your plants will get the right amount of water at the right time. This can be valuable in helping you save time and money in costs associated with water usage. It is good to note that drip irrigation systems can be used in conjunction with "irrigation zones" in your landscape. Plants that have similar water needs should be planted in the same area so that they can be more efficiently targeted by watering. You can help clearly demarcate irrigation zones by establishing separate beds for plants that need certain amounts of water. Your plants will also be healthier, since you will not be over watering or under watering some plants because of the water needs of its neighbors. Also be sure to note that areas that face south need more watering than areas located in areas with northern exposure. When installing a drip irrigation system, you need to keep these things in mind to ensure that your plants are best cared for by your targeted plan. Drip irrigation is one of the best ways to make efficient use of your water resources, and when combined with the concept of irrigation zones can be even more efficient. Janeth Duque of Geeks On Steroids. Janeth is well-known in the world of web design and search engine optimization. Log cabin floor plans - how to find special log cabin floor plans that are just right for you? You can try and create brand new plans from the beginning. However, you will save considerably if you can find log cabin plans that have been built successfully already. That's important, because that means the plans will work. Even if you need to make changes to the plans, it will still be cheaper and faster for you. • Buy Cabin Plans Books - whether online or in stores, you can find books of log cabin and log home plans. Look through the plans to see which ones you like. 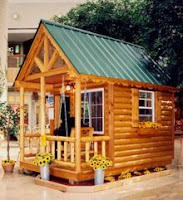 If you find one or more, you could order the log cabin plan you wanted by telephone or mail. • Locate Log Cabin Manufacturers - you will find the manufacturers of log cabin homes in log home magazines. Contact several, get their brochures and review their log cabin floor plans. And at some point, you should visit the companies that have log cabin floor plans that interest you. Speak with the sales people - are they friendly, flexible and able to offer suggestions? Or are they high-pressure and full of claims about the superiority of their log cabin homes? You do want to be comfortable with any log cabin manufacturer that you may do business with. 1. How long has the plans service company been in business? 2. Can the plans service company make changes to plans for you? 3. What are your choices in plan formats? 4. How long do your plans take to be done and arrive? 5. Are lists of materials needed to build available? As you search online for a great log cabin plan, keep a notebook of the ideas you get when you see features and concepts in log cabin plans that you like. Finding the best log cabin floor plans for your project is so much faster and easier with the capabilities of the internet. Your great log cabin floor plans probably exist somewhere already, which means you just need to go and find them. David Buster is VP of InfoSearch Publishing and webmaster of http://www.yourdreamloghome.com - a popular website for log cabin and log home enthusiasts. See quality log cabin floor plans at http://www.yourdreamloghome.com/log-cabin-plans.html and learn more about fireplace design, cabin rentals and creating that special log cabin home. Spring is the time when nature and your garden awakes and comes alive after the long winter. That first spring flower or that first green leave is the sign that winter in coming to an end and that a new growing season has arrived. Spring and Flower gardening is almost synonymous. Spring is the time to interplant perennials, shrubs, roses and plant or transplant your annuals. It's time to shape up your soil, loosen the mulch around your plants and prune your early blooming shrubs. Rake and remove leaves and debris from your garden. Without a good planting medium your flower garden will never be at its best. Perennials will save you a lot of work in your flower garden. So keep perennials high on your list. These hardworking beauties eliminate yearly replanting and will still give you that spring and summer color that you are longing for. It's best to choose varieties that don't need a lot of staking or frequent division. Notorious sun lovers are daylilies, sedium, and speedwell. Plants like hosta, fern, sweet woodruff and columbine feel more at easy in the shadow. Flower Bulbs add a splash of color to your spring garden. "Sprinkle" some crocuses, daffodils, and of course tulips between your flower beds. Flower bulbs are almost essential in a spring flower garden. If you haven't planted them last spring make sure you do so coming fall. An important part of spring gardening is getting on top of the weeds. Most weeds are fairly easy to control when you start taking them out from early spring on. At that time they still have a shallow root system and because they haven't bloomed yet they haven't reproduced either. Taking care of them in spring will pay off big in summer. 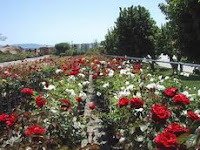 Spring, its really the growing season, and for a gardener its perhaps the most beautiful and promising time of the year. Linda Jenkinson is the leading author of http://www.gardening-guides.com/ and http://www.lanwmower-guide.com/. A word of warning upfront, if you have a wallpaper removal task ahead of you're your in for a bit of work. Make sure you set aside a considerable amount of time for this project as you may run into tough spots and problem areas that will eat up a lot of time. 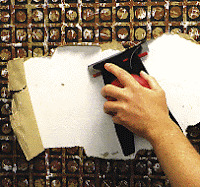 Removing wallpaper however, while not a fun task, can be done quickly and easily if you are prepared. First get the room ready. Remove everything from the room that can be removed. This includes furniture and rugs where possible. When the room is emptied cover the floor with a drop cloth in the area you will be working. This will aid in cleanup later. Goggles and a mask are on the list first for a good reason. You will have little pieces of who knows how old paper with who know what kind of glue on it flying and dripping all over the place. Wear the goggles and the mask whenever you are doing the least bit of work. I can't underestimate the importance of the perforator. They come in a couple styles and sizes. Get the one that is most appropriate to the amount of paper you have to remove. The perforator is pretty simple to use. With a slight amount of pressure you roll it around the wall and it makes little divots into the paper. Be careful not to press to hard as you do not want to dig into the wall itself. Next is preparing your solution. The commercial products work well, but I've had good results with warm water and vinegar. If you are going to use the commercial products, be sure to follow their instructions as to mixture ratios. For the vinegar solution, 1 part vinegar to 4 parts water is sufficient for most glues. Add more vinegar if you are having difficulties. Ok, so we're ready to start soaking the walls. Pick a spot, not to large, and get it thoroughly wet with your sponge and solution. Some people like to use a sprayer as well, but I find the sponge and a little pressure works better. Don't be shy about wetting the wall. Your solution needs to soak through the paper and loosen the glue. You may have to repeat this step depending on your situation. Now comes the scrapping. Use a blunt scrapper or even a putty knife to start with. You want to avoid nicking or gauging the wall underneath to save the trouble of spackling later on. Use slow even strokes to remove the paper. If it is loose enough it will simply melt off the wall. If not, wet it again. If you continue to have trouble, you may have to switch to the sharp scrapper. Be very careful though, of both your fingers and the wall! Once all the paper if off, you may have to repeat this process to remove extra paper layers or even a glue layer that may be left behind. You want to get all the way down to the plaster or drywall. Then, spackle any nicks or holes smooth, clean up the mess and paint to suit. Oh, and congratulate yourself on a job well done. Placing other types of rugs by home entrances, sinks, or in other areas where the flooring is likely to get wet is your best bet of reducing the chance for falls. Additionally, the softness of shag area rugs offer great cushioning for the first steps of any baby.Shag area rugs come in a large variety of both bright and pastel colors. They are easy to care for if you follow the instructions properly. 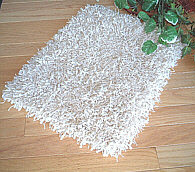 Shag area rugs are one of the most popular floor coverings around. Caring for your shag area rug properly can extend its usable life indefinitely.Typical maintenance can include regular cleaning with a vacuum and occasional cleaning with a steam machine. Using your vacuum on a regular basis is important with shag area rugs because the vacuum picks up particles that can damage the carpet fibers. As well as reducing the level of dirt caught under the fibers, vacuuming helps to keep up the look of the shag area rug. It is essential to vacuumat least once a week. You should vacuum twice per week in areas that have heavy foot traffic. Additionally, it is important to keep your vacuum in good working order to maintain a higher level of clean.Because the vacuuming can only catch surface dirt, your shag area rug may need another method of cleaning periodically. A wet cleaner, like a steam machine, is best to remove deep carpet soil like oil or grease. This can be done through a small rental machine or through a professional service. The level of frequency you complete this type of cleaning depends on the shag area rug you have purchased. For most, though, you should complete a deep cleaning every one to two years. Shag area rugs are a nice addition to any home with the proper care. Adam Peters contributes adding content continuously to http://www.home-decorating-reviews.com, a free online magazine for interior design and decorating ideas, where you can find further information on area rugs; http://www.home-decorating-reviews.com/carpets-rugs/shag-area-rugs.html, among many other complements to decorate your home with style. Are you trying to run your own business out of your home or are you a government or company employee who has the option to work from home? Working at home has many benefits, including more time spent with family and no money spent on office rental. Maybe you're one of the many people who have embraced the idea of becoming an Internet entrepreneur. Yes, it's time to set up a home office — in a manner that is conducive and productive for you to work in, with a minimum of noise and distraction. Finding a space for your home office will depend on the type of work you want to accomplish. If you need to be on the phone during the day (in your time zone), you can set up a computer desk with file storage in the living or dining room, which are usually quiet during the day. If you need more work surfaces — like getting those items you sold on EBay wrapped for shipment — you'll be more comfortable in the den or basement. Working in the evenings while the family watches TV in the living room? Set up a desk in your bedroom so you can work quietly. Once you have chosen the best area, consider putting up wall shelves to save space on your flat desk surface. Also think about using a laptop or one of the new "miniature" computers with a thin flat screen monitor. More space can be created by attaching the house phone to the wall or using your computer to make phone calls, eliminating the need for a phone on your desk. Plan your home office carefully. The right equipment and office furniture will save you time, effort, and money, not to mention back or wrist pain. According to a recent survey, nearly 75% of home business owners didn't have a designated room for their home office with the right office furniture. The most important choices concern the computer desk, an office chair, storage and lighting. A computer desk is the keystone of your home office. Nowadays, new computer desks come with many space-saving features and enough built-in storage to transform a small space in your apartment or house into a convenient and productive office space. A corner computer desk can be easily accommodated in almost any room. The style of desk you choose depends on the type of work you do. If you have to work with papers, the right computer desk will give you enough room for your computer and keyboard as well as sufficient flat surface for paperwork. For additional flat surfaces, consider adding an extra wing or curve to your desk. If you often use books, binders or thick heavy manuals, you may choose a computer desk with a hutch for shelving or closed cabinet space for easy access to printed materials and office supplies without losing any of the valuable flat surfaces. The right office chair does more than give you a way to sit at the computer. It can also save your back, neck, and shoulders, and prevent carpal tunnel syndrome by putting you at the right height relative to your keyboard and monitor. If clients will be coming to your home, make sure you have comfortable seating for them as well. Also, remember to have proper lighting, both in daytime and at night. Don't place a desk so that direct sunlight hits your computer monitor — you won't be able to see! And have a good bright lamp on or near the desk to avoid eye strain. To give your home office a professional appearance, get creative. Paint the wall a peaceful color, decorate with artwork or framed photos, and add a touch of green with potted plants or a sunny touch with bright flowers. 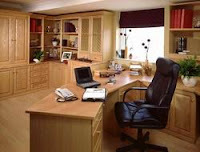 A small effort will reward you with an enhanced image when a client steps into your home office. The Right Stuff for your home office means you'll be happier and more productive there, too. When Parvati Markus is not writing helpful and insightful articles like the one you just read from www.homeandliving.com, she works with The Kabbalah Centre and freelances on non-fiction books and articles. As a recent arrival in L.A., Parvati is completing her "residency requirement" by writing a screenplay. 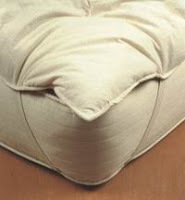 Find great home furniture online at www.homeandliving.com. Do mattress pads really do anything? What good are they? Well, if you've ever wondered if you need one, find out here! A mattress pad can make any mattress a great deal more comfortable. By placing extra padding on top of the regular mattress, softness can be added without removing the support of the mattress. These pads are usually one to three inches in depth and are made for several different materials which we will discuss. Memory foam pad- newer product that may ring a bell. The memory foam mattresses have received a great deal of television advertising and, while they look very appealing, they are not inexpensive. Recently, a thin pad version of this mattress has appeared on the market at a much more affordable price. This pad is about 3 inches in depth and it has all the attributes of the memory foam mattress. The foam adjusts to the pressure placed on it so that there is no undue pressure on different areas of the body. This type of pad is very popular with anyone looking for additional comfort. If you don't have a pillow-top mattress but want that comfy feel, this pad may save you from purchasing a new mattress. Egg crate- pad that looks as if you could store eggs in it. The foam hard depressions and raised areas that provide a bit more softness when placed over a hard mattress. The person who suffers from arthritis can frequently find sleeping much more comfortable with the addition of this type of pad on the mattress. Egg crate pads are inexpensive and readily available. To install this type of pad on the mattress, first remove the bed sheets. Place the unrolled pad on top of the mattress and smooth it into place. If the bed is for a patient, a waterproof barrier may need to be placed over the pad where the most likely soiling could occur. Then place the fitted sheet back on the mattress. It will fit a bit more snugly than before and stay on the bed very well. Then you can remake the bed with the other bedding and it is ready for use. Latex- if someone has incontinence problems or if you have children that are going through the stage where accidents can occur at night, latex pads can protect the mattress from stains and allow you to keep the mattress sanitary and odor-free. Wool, down or feather pads- can make a cold bed warm and cozy. These pads, especially the down pads, also offer some added padding to help achy hips, shoulders, backs and other painful problems. Pre-warming- these electric pads work very much like an electric blanket but are on the mattress rather than over the sleeper. No more cold feet when you jump into bed. Wintertime chills run and hide very soon after you turn your electric mattress covering onto the desired setting. Some people like to sleep with the pad on; others prefer simply to use this as a pre-heating device. Alternating pressure pad- used on a mattress for the truly bed-ridden patient. This plastic pad is placed on the mattress and is constructed of baffled tubes or sections which are filled with air or water. The pad is connected to an electric pump and the pump inflates, deflates and changes the pressure in each section at regular intervals. This can help heal a bed sore or completely prevent bed sores from occurring. This type of medical device pad can be obtained from a medical supply house and you should learn how to properly operate the device from the professionals who provide the equipment. Some medical supply houses will rent this type of pad for the use by those who must lie on their mattresses all day and night. No matter what situation best describes your particular needs, you'll find the perfect mattress pad to fill your nights with better sleep and comfort! Patricia Bowlin makes it easy to create a bedroom with flair! Find countless Free tips, ideas and information here on choosing all of your bedding by visiting now http://www.best-in-bedding.com. Let There Be Light in Your Bedroom! Winter Solstice is the shortest day of the year, and then the light slowly starts returning to the northern hemisphere. But that still means we have many months of the year when our bedrooms get very little or no light in the mornings, when we get up, and are dark long before we go to sleep. If you're someone who gets blue without enough light in your life, try brightening up your bedroom by making it feel like summer! Think summer. Light colors, light fabrics. 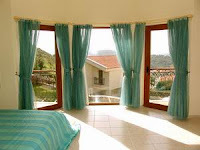 Take down the dark, heavy drapes and let the windows bring in as much light as possible during the day. When evening approaches, pull down the blinds and close the sheer curtains, which will look delightful in the glow of your warm bedroom lighting. Use soft white or pink-tinted bulbs in your lamps, or the full spectrum bulbs that replicate natural sunlight. They can make a huge difference in how you feel! One way to optimize the light that comes in during the day is to position a large mirror on a wall across from or corner to a window. The mirrors will reflect sunlight and bounce it around the room. Hanging crystals in your windows is another way to bounce light around the room at certain times of day — except this will be like having rainbows all around you! Make your bedroom feel lighter simply by eliminating or moving around your furniture to have more open space available. Use colors for your bedding that complement the summer scheme, such as celadon, aquamarine, a hint of orange and yellow, or nautical navy blue and white stripes. A floral-pattern or green rug on the floor will evoke summertime thoughts, as will adding some flowering plants, greenery, or vases of flowers. A large tropical plant with palm leaves gives an instant feeling of warmth! If you have a fireplace in the bedroom, try decorating the mantle with shells or framed photos taken in the summer. A painting or photo above the mantle of the beach, a boat on water, or lush foliage can add to the effect. Try a few of these suggestions to brighten your bedroom and give you a taste of summertime — even during the dark days of winter! The autumn months of September and October are when roses perform at their peak. After faithfully following proper rose procedures up to this point, now -- at last -- you should begin to reap the rewards of full, vibrant, glorious blooms. Your work isn't quite done yet, however. Although autumn is the best growing time, it's also the time you must prepare your rose bushes for winter coming onslaught. Producing those beautiful blooms you are so proud of is hard work -- for your rose bushes, too. They need a lot of water to fuel the flowering process. Continue to water them deeply, as often as needed to maintain growth. Watering daily is okay if you are showing them off, just be careful and observe closely so that you do not over-do the watering process. You want beautiful blooms, not drowned roots. Continue using water-soluble compost through the end of September. Consider a commercial bloom-boosting fertilizer. The large number in the middle of the formulation is your cue -- nitogen, PHOSPHORUS, potasium (potash). Black spot and mildew are dangerous because conditions for their growth are ideal, so keep up with a vigorous spraying program through the end of October. Stop all fertilizing by the end of October, to let your roses begin the hibernation process. You can continue to cut rose bouquets through October without causing any harm to the bushes. To encourage rose hips to form, just remove the petals of the dead roses. Fall just happens to be the right time to start planning next year's garden. Order new flower catalogs for your research during the dark and dreary months of winter. This is my favorite part -- all fun and no work. To get your best selections possible, place your new roses order early. Rose growers know when the best time is to ship new bushes to your climate zone. Ron King is a full-time researcher, writer, and web developer at http://www.ronxking.com. Visit http://www.grow-roses-now.com to learn more. Copyright 2006 Ron King. This article may be reprinted if the resource box is left intact. If you were going car shopping, would you prefer to be told what kind of car to own? What about how many seats it should have? Or the color? Or the size of the engine? That's exactly what's going on in the home warranty industry. Every day, thousands of home owners just like yourself are being robbed of their choice and control over their home warranties. Home warranty providers are telling home owners what they should and should not have covered in their policies. For example, some home warranty providers won't cover air conditioners. Other home warranty providers will charge you for ceiling fan coverage... whether you have ceiling fans or not! Home warranty providers have taken the choice and control from their customers and are telling their customers what is best for them. Met Home Warranty believes that it should be left up to the experts to decide what needs to be covered in your home. And who is the expert on your home? You, of course! Does your current home warranty provider think of you as the expert on your home? Probably not! Met Home Warranty has developed and implemented an industry-leading idea called Design-A-Plan which allows home warranty customers to create their own home warranties according to their own needs! Home owners can choose a base package, select which additional systems they want, and even decide how they want to receive a copy of their policy! This idea takes the control out of the hands of the home warranty providers and puts it into the hands of the home owner! But don't worry. Just because you have the choice and the control again, it doesn't mean that you'll be left out in the cold. With Met Home Warranty's Design-A-Plan, you are the expert... but you're also a well-informed expert! Met Home Warranty is the authority on the home warranty industry. With cutting edge technology, a downloadable whitepaper on the industry, and their "do-it-yourself" approach to home warranty coverage policies, you'll have all the facts you need to design your own policy with ease! Met Home Warranty's authoritative site (www.methomewarranty.com) will help you understand your home, your home warranty, and will simply make you a better home owner! And if you're a home buyer or home seller, you'll love Met Home Warranty's authoritative site to help you buy or sell your home with ease! Met Home Warranty is the authority on home warranties so you can be the expert on your home! Aaron Hoos writes for Met Home Warranty. 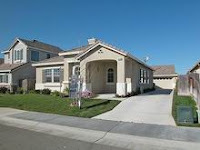 As an industry-leading authority on the home warranty industry, they provide innovative home warranties to home owners, home buyers, and home sellers at www.methomewarranty.com. As the saying goes, what's old is new again. That's never truer than when it comes to home decorating. Buddhist art in general - and Foo Dogs in particular - has become increasingly popular with professional and amateur decorators alike. Many people were first exposed to Buddhist art when feng shui - the Chinese art and science of arranging space in harmony with the environment - first became popular. Although feng shui has is roots in Taoism, the Chinese incorporated Buddhist art, such as Foo Dogs, into the design of their buildings from the second century B.C. Foo Dogs, sometimes known as guardian lions, are generally placed on either side of a building's entrance. According to Buddhist tradition, Foo Dogs are the guardians of Dharma, or the Truth. Typically displayed in pairs, the male lion has his paw on a representation of the Earth, and the female has her paw on her cub. 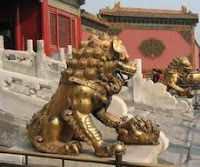 Male Foo Dogs protect the actual building, while female Foo Dogs protect those inside the building. Historically, they were placed at the gates of temples, at the entrances to tombs, and at the front of altars. Today, replicas of Foo Dogs are often used outdoors as decorative elements at the bottoms of driveways or indoors near the front doors. Foo Dogs are not the only forms of Buddhist art that are popular with decorators and collectors. A bronze Buddha or a laughing Buddha is often displayed in living rooms, studies, and master bedrooms. The peacefulness and tranquility that a bronze Buddha or a laughing Buddha radiates is a welcome respite after a stressful commute or a long day at the office. Buddhist art isn't the only form of ancient art that has increased in popularity. Both Egyptian art and Greek art have enjoyed a resurgence of interest. For example, plaques depicting Isis or Anubis adorn many modern walls. In ancient Egypt, Isis was worshipped as one who protected her son from danger and who would protect mortal children as well. Anubis, typically depicted as having the head of a jackal, is known as the God of the Dead. As with Egyptian art, many people are choosing to decorate their homes with replicas of Greek art pieces. Vases, wall sculptures, busts, and friezes are all being used as decorating elements in today's homes. Many women feel empowered when they see sculptures of ancient Goddesses, and are giving such sculptures places of honor in their homes. As testaments to their faith, Christians are embracing the concept of incorporating Christian art into their homes. Christian art may take the form of depictions of The Last Supper or The Ten Commandments, or may even include statues of angels and saints. Making the decision to install an additional shower in your home takes some careful planning and the first consideration is where you plan to install the new shower unit. If you are not using the existing space where the bath tub presently resides then the location of the new shower must facilitate the plumbing in order to leverage adequate water flow and waste, otherwise the project becomes two folded as new pipes will have to be installed and routed. Depending on available space and budget there are numerous shower enclosure and shower tray options to choose from. Shower trays come in an array of dimensions from square, rectangular and quadrant for corner units with coinciding shower enclosures to ensure conformity in the bathroom. Purchasing a shower tray made from acrylic filled with heavy weight stone cast resin is one of the best choices, since they are durable and quality produced these trays are free from shrinkage and cracking. Their practical design offers a skid resistance base and provides ample standing room when showering. Water drainage from the shower tray should also be taken into account at the design stage since the shower tray sits at floor level means the waste hole will need to be recessed. To make the installation less labor intensive it is recommended that you either seek the advice of a professional or hire a contractor to install the primary plumbing. Keeping in mind when it comes to installing the shower tray it is always best to fit the shower tray first before purchasing the shower enclosure since tiles and sealants can alter the size of the shower tray. Furthermore, never comprise value and quality when it comes to sealing the shower tray. It is extremely crucial to use a watertight sealant around the shower tray; improper application of silicone sealant may cause your shower to leak causing extensive water damage in the bathroom. Also, depending where the shower is located, water can seep through the floor, destroying the ceiling to the room situated below the shower unit which could lead to expensive repairs. Once the shower tray has been installed only then should you choose a matching shower enclosure. Today's top trends in shower enclosures are easy to maintain frameless glass designs and since there is no frame there is less chance of lime scale or dirt build up in these styles of enclosures. Prior to selecting the shower enclosure, make sure proper measurements haven been take to allow for the additional height of the shower tray to balance out with ceiling space, this is extremely important especially if your have a low ceiling. Before the actual installation of the shower enclosure, carefully examine it for solid construction, placing the enclosure on the tray only to later find out there may be design flaws in the unit will lead to double duty and frustration. Testing the enclosure for leaks is suggested, according to shower manufacturers, spay bottle testing is one of the best methods to test for leaks. By simply spraying between the glass and the adjoining frames will determine if in fact there are any water leaks, at which time the unit is returned in exchange for a new one, preventive measures prevent additional work. Shelley Murphy of www.trendmx.com brings with her over 10 years of Search Engine Optimization and e-marketing strategies to web based businesses. Holding two BA's in English and Journalism Communications her writing skills have been a great asset for both onsite writing and monthly newsletters publications. Know what I love about getting the garden all cleaned up, it stays that way for much longer than when you get your home all cleaned up. More and more people are turning to landscaping their gardens, not just planting a tree here and a shrub there but looking at their garden as they would look at the inside of their home. More thought as to the overall look and appeal and how plants can compliment each other. The results are very rewarding. There is so much help too if you are not confident in the planning, your nursery, wonderful landscaping books, TV and radio shows and the Internet are all there waiting to guide you. Be careful with books, make sure the book is for your area and the plants suggested for a design are suitable for your part of the world. It's fun to get a graph pad and do your own design, give it a try and you could surprise yourself. One word of advice, if you purchase plants from the big chain stores and they have been in air- conditioning or inside a building even with the shade cloth inside/outside style of shop, never take the plant home and put it in the garden straight away. Take about three weeks acclimatizing the plant. Keep the plant inside or on an enclosed patio and gradually over the three week period, increase the outside time and decrease the inside time. Doing it this way you have a better chance of the plant surviving and growing into a beautiful specimen for you. You can quite often pick up some bargains in the plant department, doing the acclimatizing can save you money. Gardens like everything else has trends. These trends usually follow the interior decor trends. This is a good thing as the outside and the inside will compliment each other. If your home is cottage style, then a garden along the cottage lines would look great and you would have the flowers to decorate your home to add to the look. A modern minimilistic interior then a minimal no fuss landscaped garden. Landsscaping and gardening can improve your stress levels too. Feeling a bit stressed about something, take yourself out into your garden and potter, tip prune, pull out a few weeds, water a few plants, separate a few clumping plants and pot up for later Give yourself at least a half hour and feel the stress go. Works for me, hope it does for you too. This article was written by CTBaird of ctbmarketing-australia Internet Marketing and Online Home Business Opportunities reviewed for you. http://www.ctbmarketing-australia.com. Home Reno Plans: Value Added Or Value Subtracted?